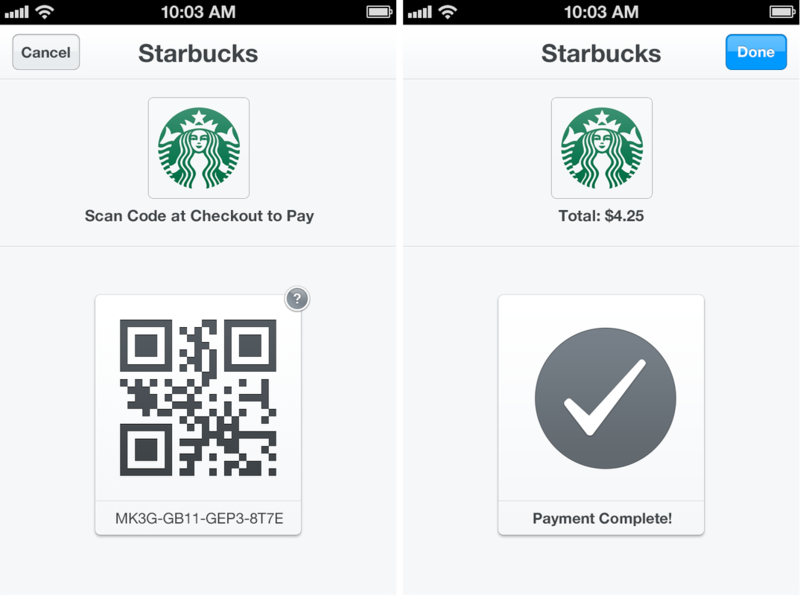 The Starbucks Mobile App was one of the first mobile payment apps for a retail store. They have created a way in which you no longer need your credit card to pay for your favorite Starbucks treats, instead they can just take your phone and scan it at the register which is hooked up to your debit or credit card. The app also has many other amenities. These amenities include a map of where you are and where the closest Starbucks is to you at that moment. It includes the hours of operation and if that store has wifi. Also it has information about the drinks such as the calorie count and what is in what drinks. One major thing that they have on the app is the rewards program. It runs something like, you receive different amount of points for different purchases. When you reach a certain amount of those points you are rewarded with items such as drinks and food. The last thing that the mobile app contains is a dashboard where all of your information is stored and you can access everything within the app. These QR and Bar Codes that Starbucks are using are actually incorporated into their mobile app. It is a way for customers to use their mobile phones to pay for their drinks. When they hand the picture of the QR or Bar Code to the cashier they scan it and wallah you paid for your drink !